Street food in Peru is very popular. 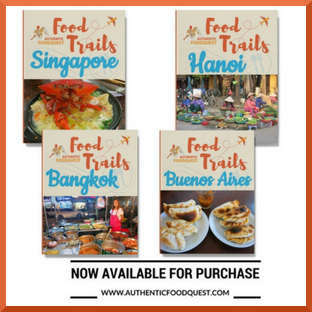 Of the South American countries (Argentina, Uruguay, Chile) we visited on our quest for authentic food, we were most surprised by the popularity and diversity of the Peruvian street food. We observed a strong Peruvian street food culture with different types of vendors showing up at different times of the day. In the mornings you find street carts selling breakfast type foods This includes bread with cheese, omelets or fried eggs. Other traditional breakfast beverages are Maca and Emoliente, two natural beverages with medicinal properties. We discovered them in Cusco and wrote about them in our article Cusco Market and Its Natural Medicine. In the evenings, another set of street carts appear selling a variety of options including the ones highlighted below. On your travels to Peru, be sure to try these 6 Peruvian street foods in Lima or Cusco. 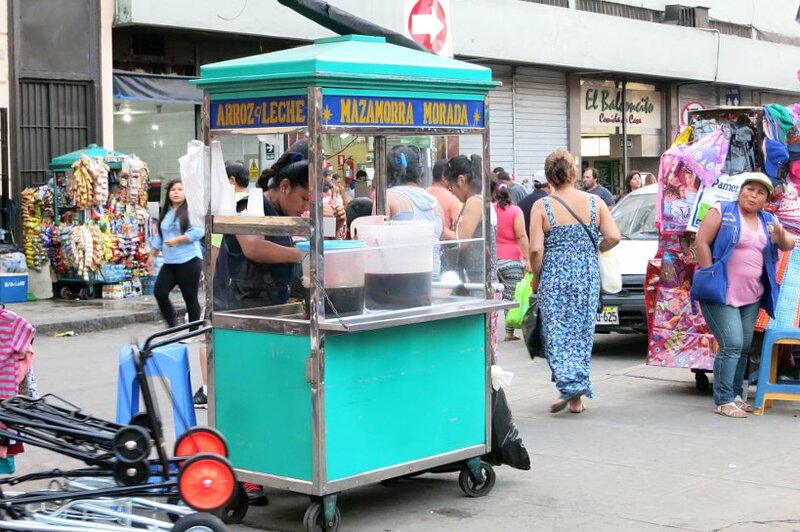 See tips at the end on how to enjoy Peruvian street food safely. Book a tour to discover more about Peruvian cuisine. As the sun begins to set and dusk approaches, the first thing you will notice on the streets of Peru are little carts being set up on virtually every corner. One popular sign you will see is for Anticuchos. What is Anticuchos? Quite literally, this is meat on a stick served with a boiled potato on the end. The most traditional Antichuchos are Anticuchos de Corazon, which are pieces of grilled beef-heart served on a stick. They are served with a boiled potato on the end of a skewer and aji, or hot sauce. If you can’t stomach the idea of beef heart, you can also get chicken, regular beef or even hot dog anticuchos. The story of anticuchos is very much part of the national story of Peru. This tradition comes from the African slaves who were brought by Spaniards to Peru in the 16th century. From time to time, the Spanish would slaughter cows for food and they would give the innards which they considered garbage to their slaves. The African slaves learned how to cook them using different seasonings from the Spanish and the Andes region, transforming them into delicious morsels of meat. The story goes that after the slaves were freed in 1874, they moved to the cities to start a new life. 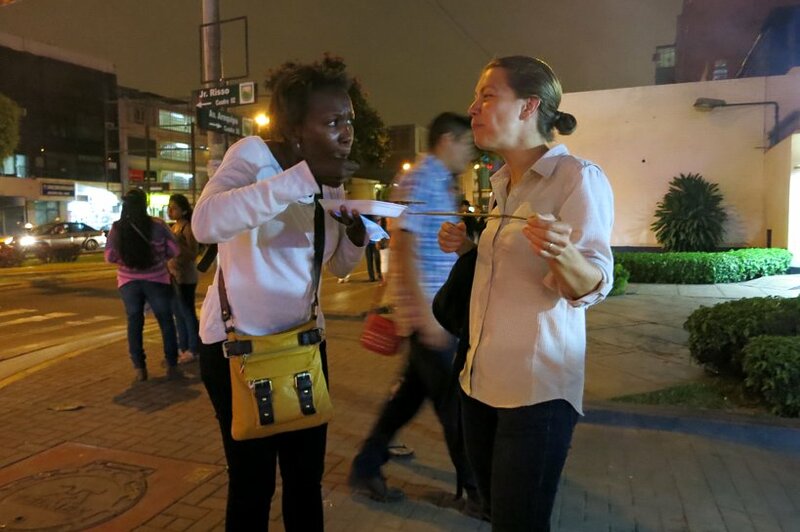 Poor, hungry and in search for work, the mothers started selling anticuchos at neighborhood corners. Attracted by the smell, Limenos (people from Lima) would stop and enjoy them, quickly making them a daily habit. The number of anticucheras quickly grew and spread throughout Lima and other cities. Today, Anticuchos are loved and eaten by all – young, old, rich and poor. They are a part of the traditional Peruvian cuisine. The greatest consumption is in July during the celebration of Fiestas Patrias or Independence Day. Watching the preparation of the Anticuchos is fascinating. 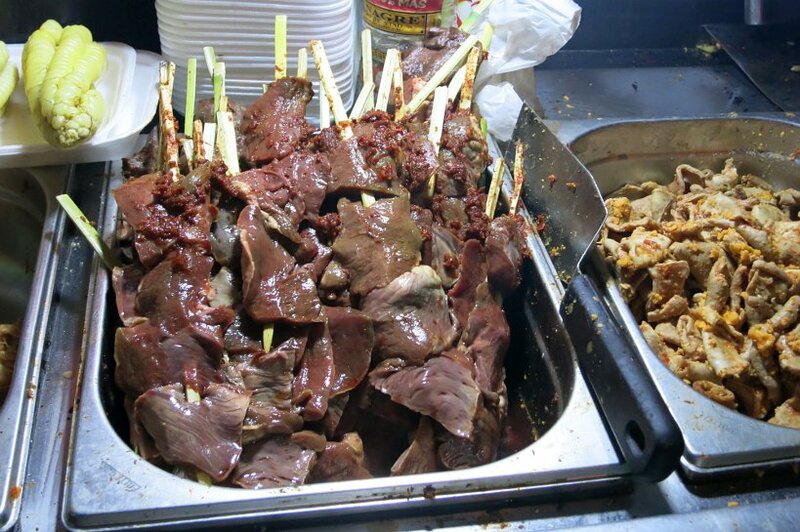 All the skewers are lined up and loaded with pieces of cow heart, beef or chicken. They cooked on order for about 5-7 minutes with a sauce applied regularly. The first bite of Anticuchos is like biting into a piece of beef. The difference is in the texture. The heart meat feels slippery (compared to beef) and is like biting into muscle fiber. Tender, with lots of chewing. Surprisingly delicious, is what we thought after eating the Anticuchos. We enjoyed them so much that we had to have them a second time. Tasting this popular Peruvian street food is an experience and one you should try on for street food in Lima or street food, Cusco. 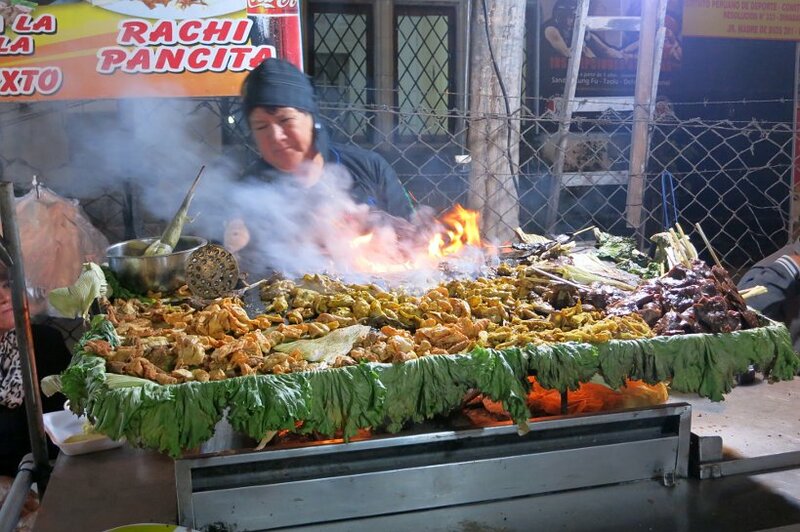 Typically, on the same street cart that has Anticuchos, you will most likely see Rachi. Rachi is a traditional Peruvian food served in the Andes and popular throughout the country. It is essentially, cows belly. When we had Anticuchos for the second time, we decided to order the “mixto” which is a combination of Anticuchos and Rachi. We really did not enjoy the Rachi much. We found the texture too chewy and the taste not as delicious as the Anticuchos. It is a dish that is well worth trying given its importance in the Peruvian cuisine. The ingredients include cow belly, garlic, Peruvian corn, salt, pepper and seasoning. Sandwich vendors are a common street food in Peru. 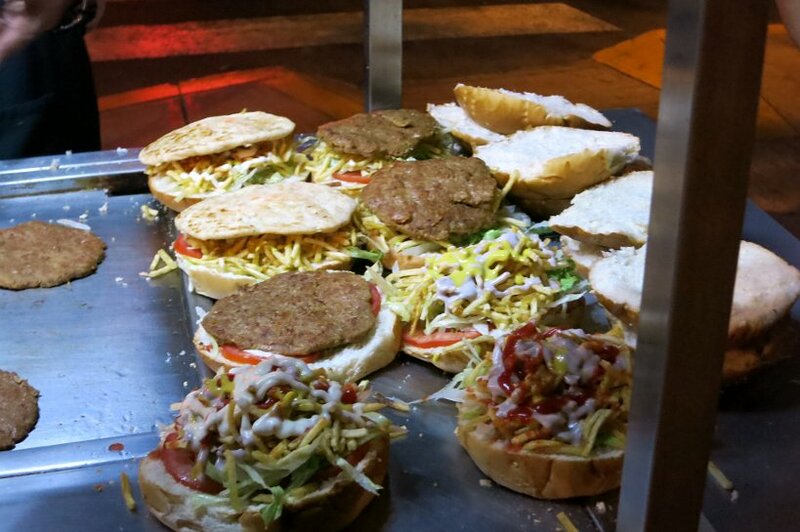 Vendors sell different types of sandwiches including hamburgers, chicken sandwiches and the famous butifarra (pronounced boot-ee-FAR-ah) which is a pork sandwich. The vendors place their mobile carts on the sidewalk with their stock of food as well as a plancha (flat metal piece of cast iron over fire) to cook on. Some will have a menu of sandwiches to choose from. They make an appearance at dinner time between 7 pm / 8 pm and staying open late into the night. We tried two different types of sandwiches. The butifarra and the hamburger sandwich. The butifarra sandwich consists of slices of pork on a bread, similar a french bread. It comes with onion and aji (chili pepper) and we added palta or avocado. Incredibly delicious, with a slight spicy kick, smoothened out by the avocado. Another name for the butifarra is “jamon del pais” or country ham. Accompanying the hamburger sandwich were tomatoes, onions, bacon, and the patty. Not knowing what sauce to select, we asked for a combination of all proposed sauces including the spicy picante sauce. The sandwich was rich, tasty though not exceptional. It does not compare to U.S. hamburgers which are juicy and succulent. 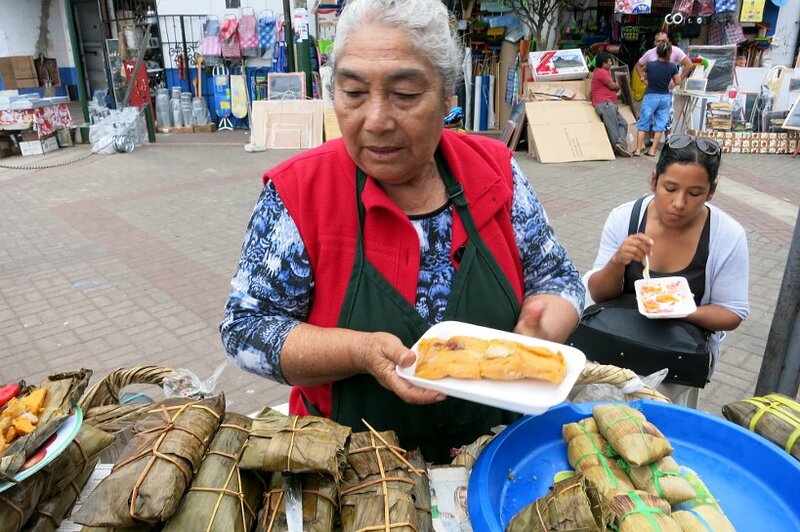 Tamales are a staple that can be found across South America with different flavors and ingredients. The Peruvian tamales are made with Peruvian white or yellow corn. They consist of a cornmeal dough filled with meat, usually chicken or pork, boiled eggs, olives, nuts, and aji (chili pepper) topped with red onion. They are typically steamed and wrapped in a banana leaf. Easy to eat, they make for an ideal Peruvian street food snack on the go. The mix of flavors was incredible. You have a great combination of the mild taste of corn with spicy bites of meat. We enjoyed them very much as well as the convenience of eating it on the go. 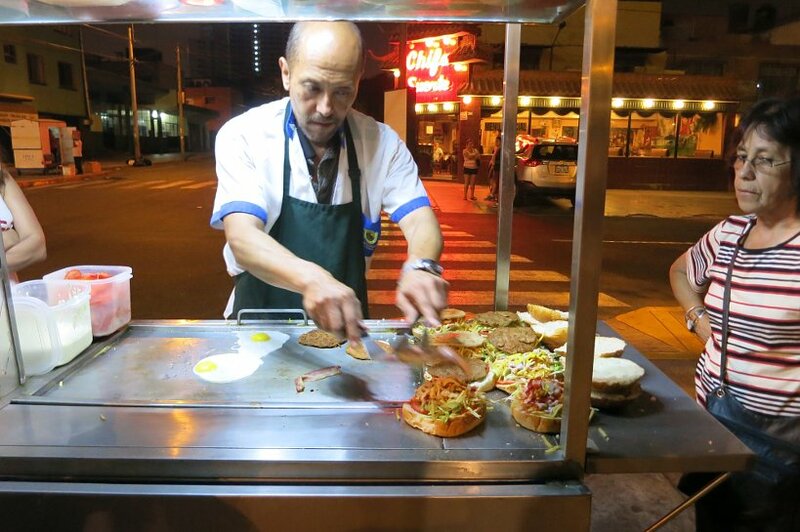 A great option when strolling the streets and one of our best street foods in Lima. Arroz con Leche is the Peruvian version of rice pudding. Brought to Peru by the Spanish conquerors, this simple dessert is a popular favorite. Made with rice, sweetened condensed milk and evaporated milk. The purple part is like a porridge and it is made from a concentrate of purple corn starch. Quite delicious, it is spiced with cinnamon and cloves and mixed with diced apples and apricots. The use of rice in desserts is similar to some Thai desserts we discovered while in Southeast Asia. 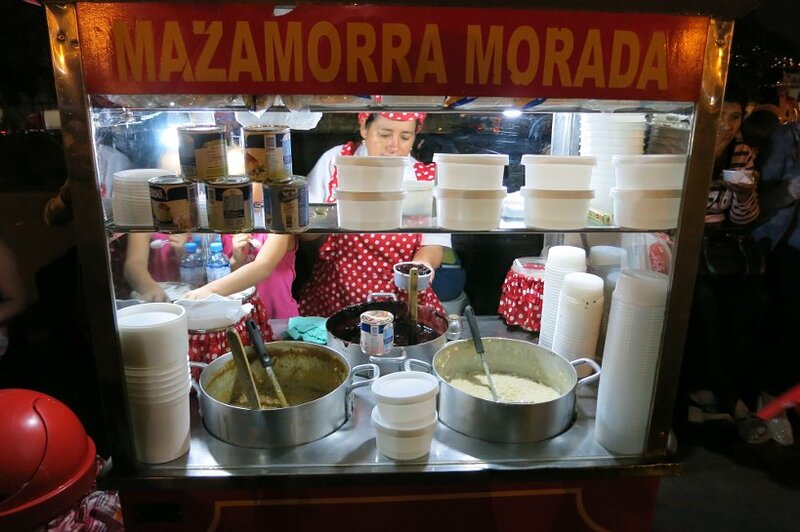 Nevertheless, Arroz con Leche is a very popular dessert and Peruvian street food. This sweet Peruvian dessert can be eaten three ways. Arroz con leche by itself is one option. 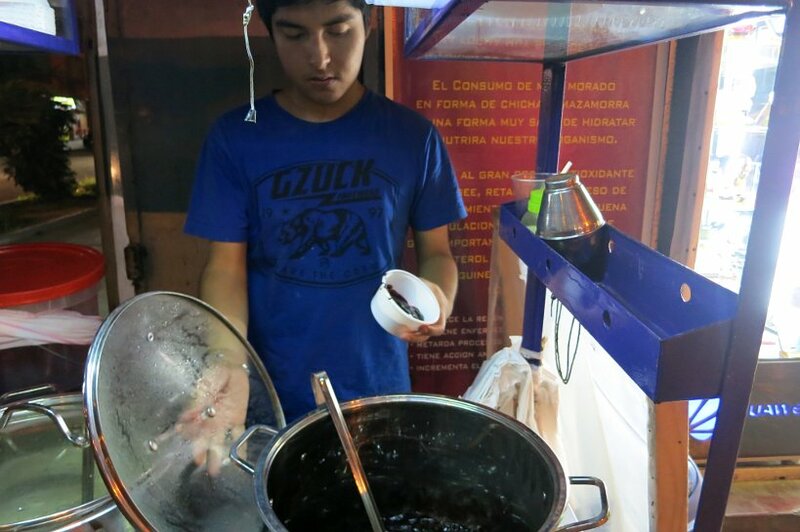 You can choose only mazamorra morada, which is a typical Limeña dessert. 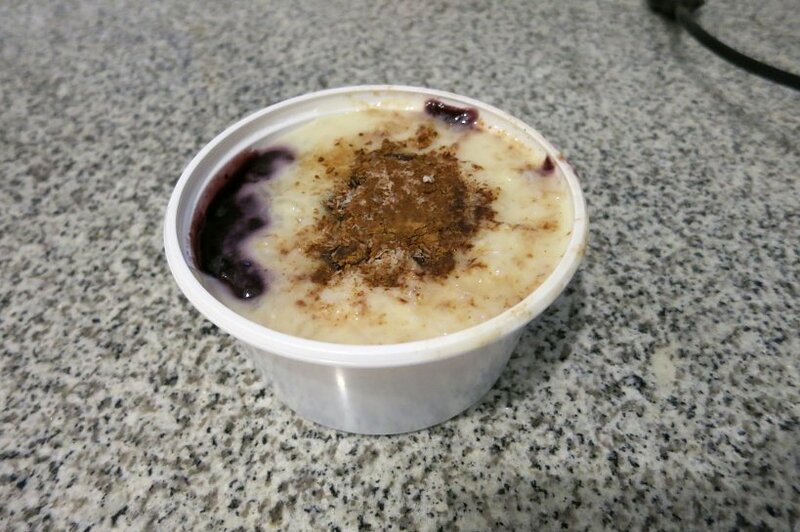 Or, finally, there is the “classical”, which means equal servings of the rice pudding and mazamorra morada. We opted to try this traditional Peruvian dessert as a “classical” and get the best of both worlds. After a few bites, we both much preferred the mazamorra morada. While rice pudding is something we are familiar with, we found the Peruvian version to be a little too sweet and the rice a little too thick. Nonetheless, given its popularity in Peru, it is a must-eat Peruvian street worth trying on your travels. 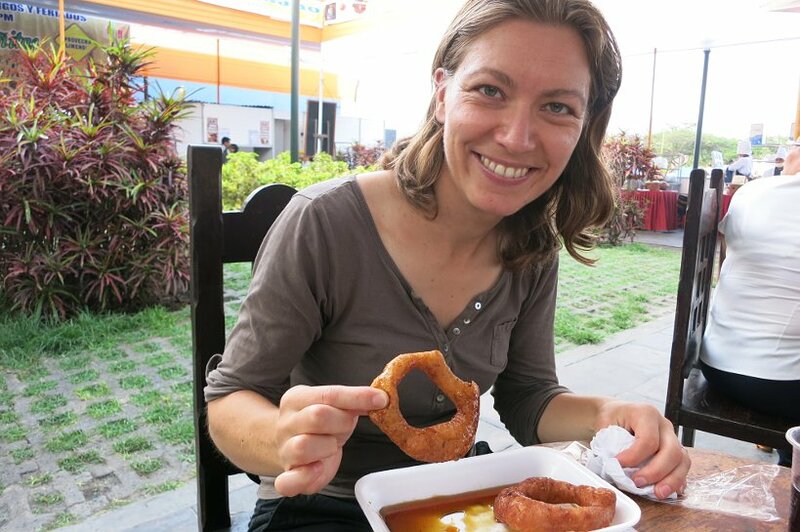 Even though picarones are referred to as a kind of doughnut, they are actually quite different and unique to Peru. The principal ingredients of this Peruvian dessert are sweet potato and squash. 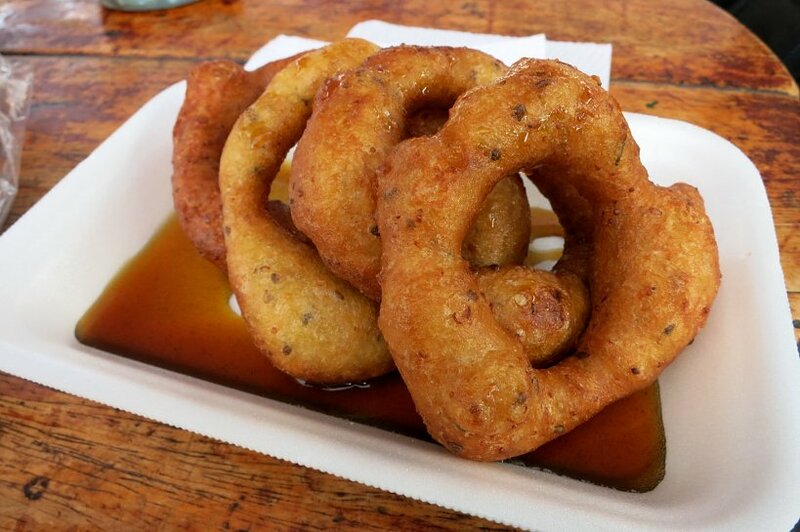 They are deep fried and served with cane syrup called chancaca. It is a tradition to serve picarones when eating anticuchos. Picarones are typically served in sets of four. The first time we got our order, we were surprised and thought we would not finish them. It was after a big meal and we were already stuffed. After the first couple of bites, we understood clearly why these little-fried fritters are so popular. They are not overly sweet, and the combination of sweet potato and squash is heavenly. No questions, this delightful Peruvian street food should be on your list to savor in Peru. 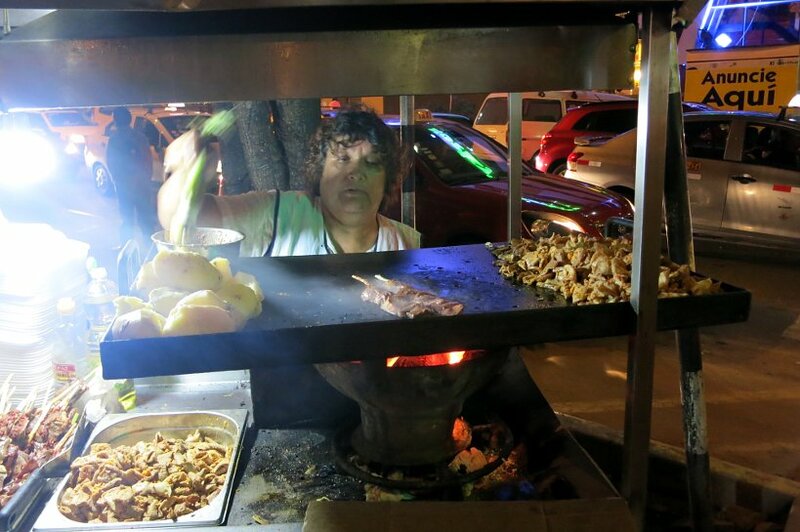 Eating Peruvian street food is a great way to experience local culture. We recommend it highly because it gets you out of the comfort of eating in restaurants surrounded by other tourists or upper-class locals. We’ve shared benches, counters, and tables with locals who are friendly, welcoming and openly curious. In these settings, we get to appreciate the local culture at an even deeper level. 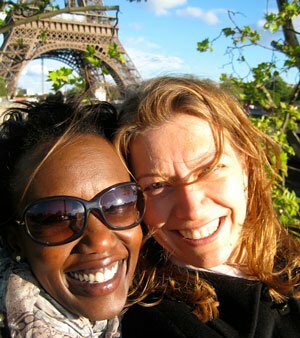 We encourage you to do the same on your travels for a truly authentic experience. However, as you look at all the tempting food carts and take in the delicious odors of Peruvian street food, one thing you might be wondering about is safety. 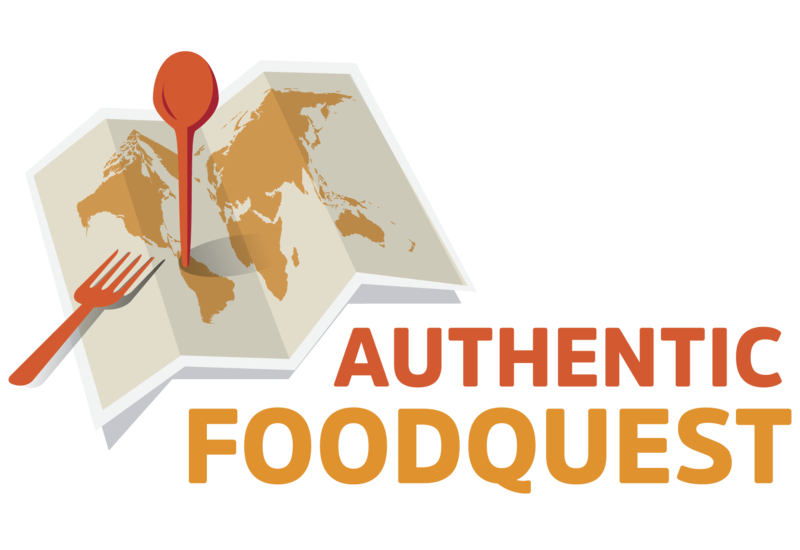 On this quest for authentic food in South America, we ate a lot of street food, mostly in Peru and only got sick only one time. This was actually our fault, for not applying one of the tips that we share with you below to safely eat Peruvian street food, or any street food. Tip #1: This one is pretty simple and obvious. Look for the carts with the longest lines. If there is a long line or queue of Peruvians. It’s probably a good sign. A long line suggests that there is a high turnover of the food. This means the food is cooked and eaten quickly, reducing the chances of using “old food” that has been sitting around for a while. Tip #2: Look at the hygiene of the cart and the person preparing the food. Does the cart look clean? Are there any flies around the cart? How is the person preparing the food getting rid of the waste or remains of the food? Pay attention to the sanitary conditions and make sure you feel comfortable. Tip #3: And very important, how is the money exchange happening? Is there a second person at the cart to receive payment? If not, is the person preparing the food also handling the money? Are they wearing gloves and taking off the gloves to handle money? Lots of germs can get transmitted by dirty bills and coins. Pay attention here. This is probably why we got sick on our authentic food quest. Tip #4: Be cautious about the eating utensils. This is a big watch out. Since you never know how the utensils are being washed, it is best to have your own utensils with you. The spork (combination spoon and fork) has been our lifesaver. We never travel without it and it has come in handy in many situations. See our article on How to Eat Street Food Safely for more practical and safety tips on eating street food. 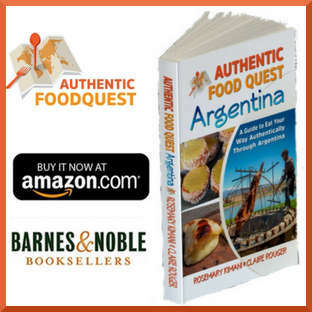 Get our latest book Authentic Food Quest Peru, available on Amazon. 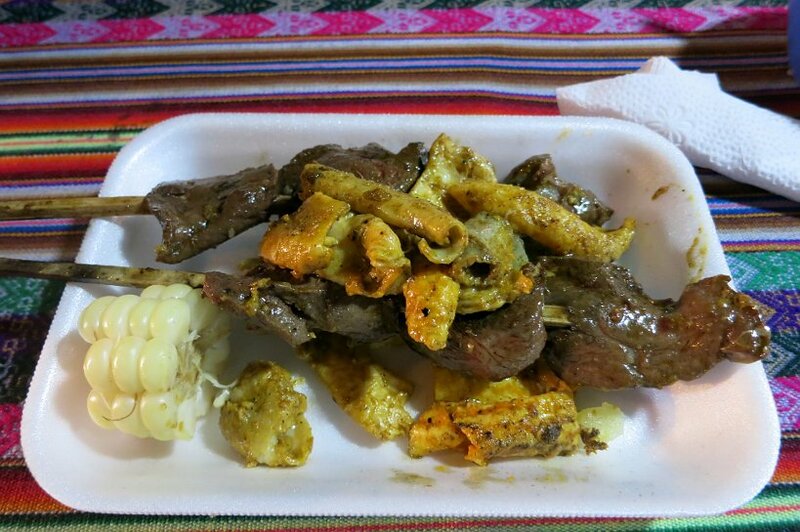 Have you had Peruvian street food before? Tell us in the comments below, your favorite Peruvian food. Thank you Mandi! Yes, Picarones look and taste delicious. The last ones we tried had quinoa as well…delicious! Wow! It’s crazy how different the cuisine can be from all over the world! Hi Ashley, you are so right; and in Peru the cuisine can be very different between the Amazonian food and the food from the coast. It is quite amazing! I’m not sure that I could stomach all that food! It looks like a fun experience though! 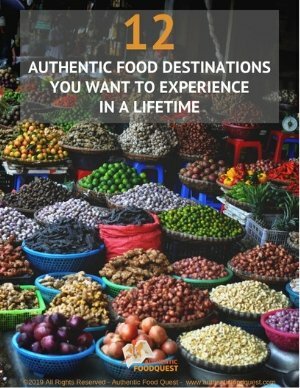 Hi Brittany, yes, sometime we are more interested by the experience than the food itself 🙂 it is always a great experience to learn about authentic food. Thanks for your feedback. Glad you like the guide to Peruvian street. It’s all different and interesting as well. 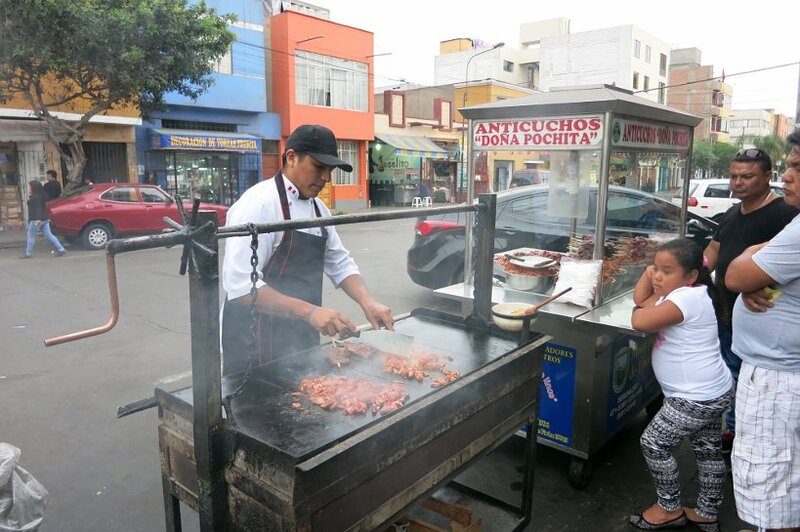 We much preferred the Anticuchos to the Rachi…and they do have non-beef options. The purple sauce or Manzamorra on the rice pudding takes it a whole new level of deliciousness!! Street food is great an interesting slice of any culture. 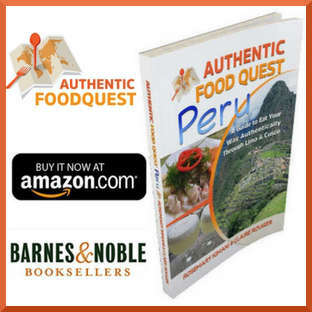 I love Peruvian food, my husband and I did the Inca Trail hike a few years ago and the cooks on the hike whipped up some of the best dishes ever! You did such a great job of showcasing some authentic dishes from Peru in the post. Thanks Kusum! There is so much variety in Peruvian food. Glad you had the chance to experience it on the Inca Trail. Everything looks so tasty. I’ve heard great things about Peruvian Sandwiches and want to give them a try one of these days. Thanks for sharing. Thanks Megan. Indeed Peruvian sandwiches are incredibly tasty. But actually, all the food in Peru is delicious. If you have a chance to visit a Peruvian restaurant near you, you will not be disappointed! Wow…that is a lot of meat. I recently read an article on how much meat South Americans eat and this article proves it once more. Southeast Asia turned me into almost a full vegetarian and I think it would be quite tough to eat street food in Peru as well. In Asia it was sometimes really difficult to find something. 😉 Very brave to try it all out! I’m going to stick with the sweets being the vegetarian that I am. The picarones looks incredible. A lightly sweetened fried squash dessert has my name all over it. Great tip, too, on bringing your own utensils! It’s little things like that you forget when you think you’ve taken all other precautions. It’s true Jackie, those little things like bringing our own spork, make a whole lot of difference to the eating experience. The best thing about the Picarones is that they are not overly sweet…neither is the sauce. Thanks for your comments. 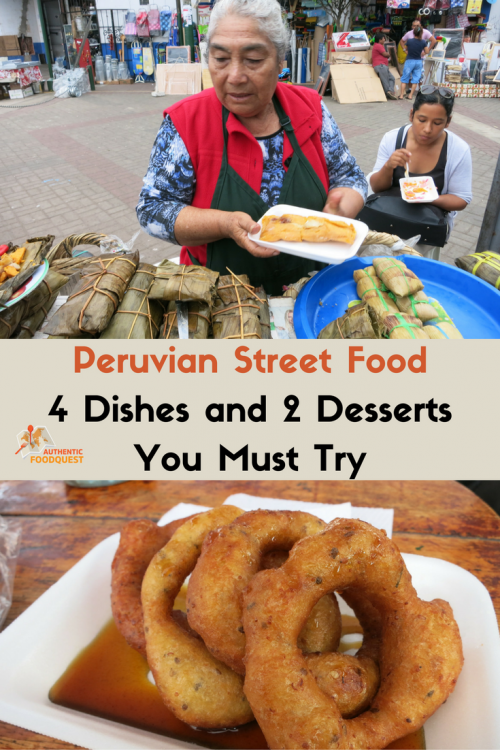 Excellent detailed description of Peruvian street food! 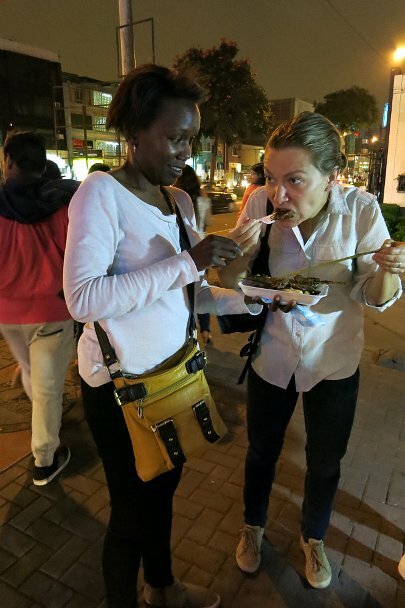 Having lived in Mexico, Chile, and Paraguay for several years, I am familiar with eating off the streets. I need to get to Peru for a butifarra! Thanks Howard. Glad you like the post Eating street food can certainly be an adventure. It’s an intimate look at the culinary culture. 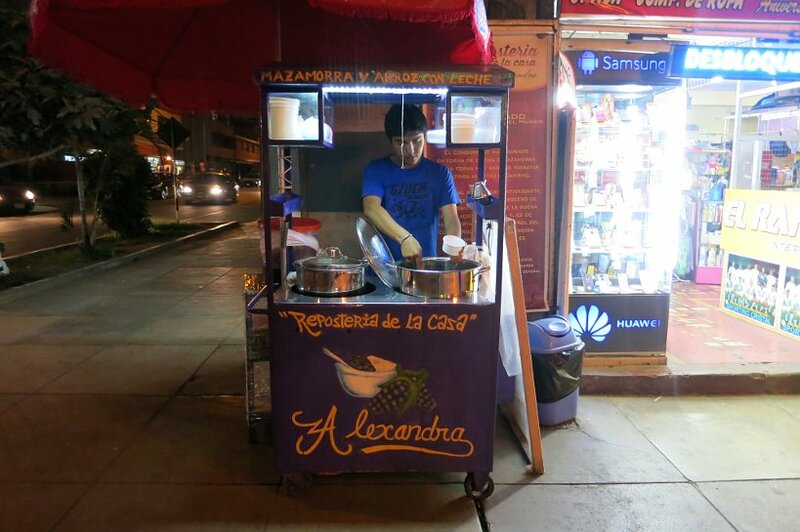 We have been surprised at how diverse the street food is in Peru, how is it in Mexico, Chile or Paraguay? Thanks for your comments! My mouth was seriously warring reading this! I love tamales but have only had the Mexican kind. Would love to try them in Peru! 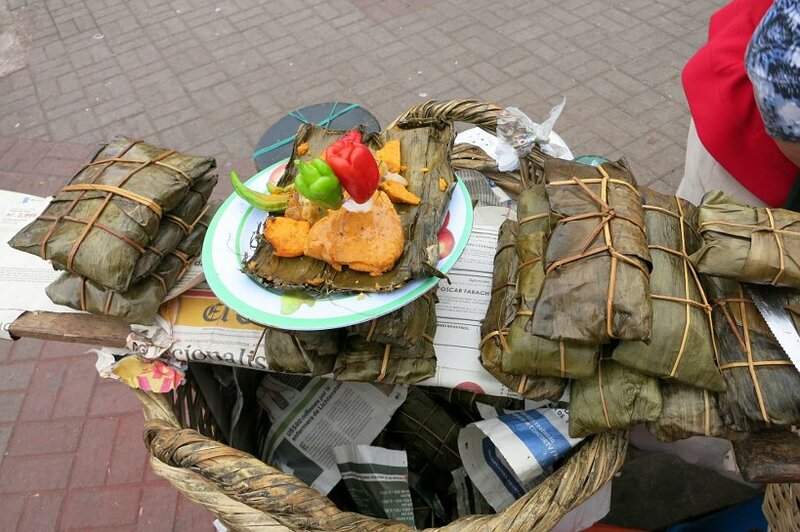 The tamales in Peru are different from the Mexicans one. The spices used are different and the texture as well. We actually prefer the Peruvian tamales over the Mexican ones. I bet you would like them too. Thanks for your comments Chantell. Love street food, though maybe not the cow belly one. I agree, the longer the queue the better the food. Thanks Paula. Glad you love street food as well. One does need to be careful though…and longer lines are a good sign. Thanks for your comments! Thanks so much Anna for your comments. We have seriously fallen in love with Peruvian food. It has quickly become our favorite as well. That’s great you have already experienced Peruvian food from chefs. If they used local products…I’m sure you got the very best. Hope you get to Peru soon and enjoy the street food as well. It is quite a unique experience. Thanks much! You are so welcome Eileen. It’s been great writing about the food…as well as enjoying it 🙂 Yum! I loved your account of the history of Anticuchos. Very interesting. I learnt to accept offal when I lived in Taiwan – it was such an essential part of the diet that I had to make peace with it. And prepared properly, it can be delicious. Thanks Serina! When we understand the history of the food, I think when we have a deeper appreciation for the dishes, we appreciate them even more. Especially when the foods are outside of the “norm”. Agreed, when the interior organs are cleaned well and prepared by those who know how to make them…they can be delicious! Thanks! Sensational post! Street food is always my go-to overseas. The photos and the tips are awesome. Thanks Michelle. Glad you liked the post and the pics. We’ve had a great time experiencing local Peruvian food. Hey…that’s great that you know about the Mandazi. The Picarones was different but just as good! Cheers!! Oh wow, look at that smoke billowing from the cart! Street food is my favourite cuisine when travelling, and it shows such an amazing slice of life. Great photos! Thanks Tammi for your comments. Completely agree, street food is a great way to get in touch with the local culture and people. It’s a fun thing to do. Glad you liked the pics. Cheers! I’ve never tried Peruvian food, although their street food reminds me a lot of our street food here in the Philippines, especially the Rachi, but instead of cow’s belly, we use pig’s belly. We also skewer them and barbecue them. That’s really interesting Marge that the street food is similar to the Philippines. In Peru, they also use the pig’s belly called “pancita”. After the trying the grilled cow’s belly, we didn’t have the courage to try the pig’s belly. It’s great to note the similarities between countries!! Great list of foods to try! Street food can be the most exciting to try. I had most of those things in Peru. One of my favorites was the toasted corn they serve as snacks, because the corn is so big. It’s like enormous corn nuts. Thanks Laura. 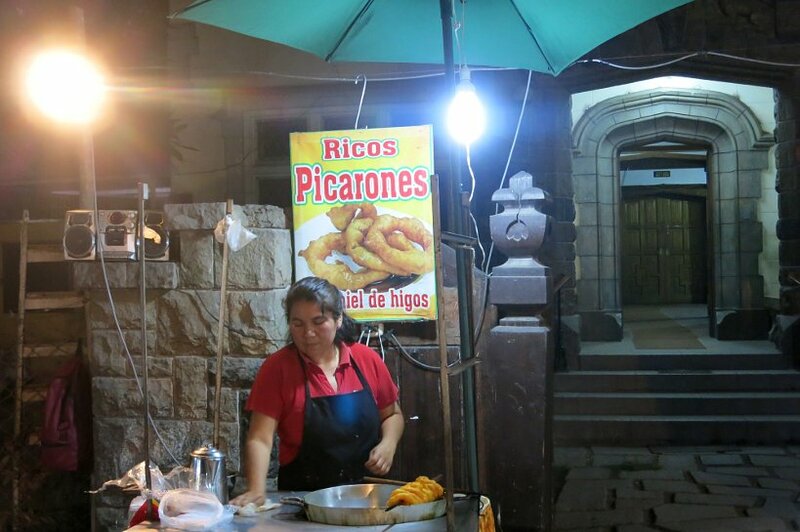 Did you have a favorite street food when you were in Peru? Agree, love the big, white corn which they call “choclo”. Nice snack before a meal or with drinks. Thanks for your comments! We were just as surprised to learn about breakfast street food. The funny thing is to see long lines of people in business suits eating a bite before 9am at street carts. It’s a different crowd compared to the evening crowd. Glad you liked the post Lauren. I love Peruvian food! It always has so much flavor. I wish I would have gotten a chance to try the tamales. Since every country makes them differently, I always try to taste the differences. Did you guys try cuy while you were there? Thanks for your comments. Yes indeed! We did try the Cuy in Cusco. Didn’t have much of a distinctive flavor and with so little meat on the bones, it was difficult to really enjoy it. Check out our recent post about the specialities not to miss in Cusco, we talk about the Cuy there. 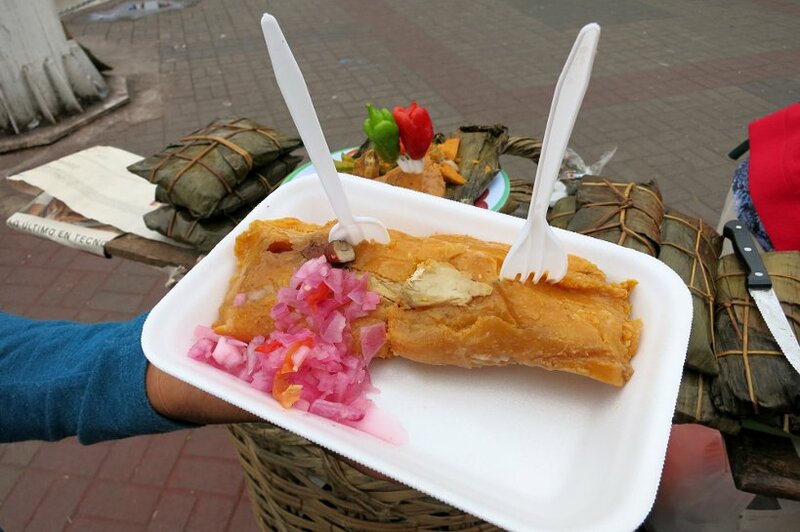 Agree Peruvian food is fresh and flavorful, including the delicious tamales!! Great tips! I would have never thought to bring my own utensil. The spork is good one. As I was going through the post I was like I wonder if I would get sick. Great tips on the best ways of how not to. Glad you liked the tips about staying safe when eating street food. 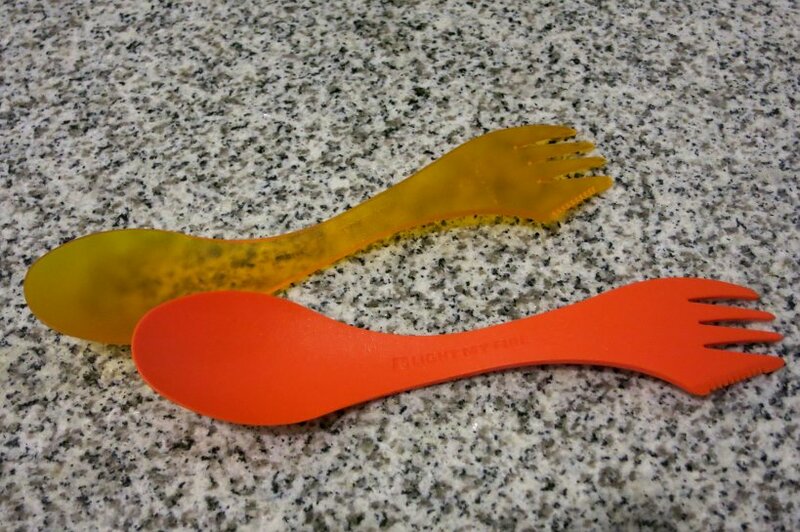 The spork has been a life saver and one thing we recommend highly. It’s all about making smart choices when experiencing street food. Thanks Holly for your comments! I should have known better than to read this while I was hungry! All these foods look amazing. I hope to make it to Peru to try it for myself one of these days. Thanks so much…the food in Peru is simply outstanding! The temptation is literally at every street corner. If you have a chance, do get to Peru…the food is delicious and the landscape diverse. Cheers! Great post ! I enjoyed reading it and learning more about peruvian street food. Great photos as well. You managed to show the friendly atmospher around the street carts that is part of the success of this kind of food delivery. You can add in your Tip #1: Long queues is good sign, and if there are kids or elder people in the queue this is even better sign as we would expect the food to be healthy there. The anticuchos look really delicious and I would like to taste it. Thanks Tuan! Glad to hear that you like the post and the photos. Great suggestion about the elderly and kids! Anticuchos are indeed delicious and an experience in and of themselves. Yes we totally agree with your comment about the banana leaf, it wraps and keeps the flavor inside the dish. We recently discovered the bijao leaf which is used to cook typical Amazonian food. We’ll talk more about this in our next post. Stay tuned! I’m not a big beef eater, which makes it a stretch for me to go for the innards. That said small plates and bites are passable and I’m sure I too would fall for the delicious smell from the vendors. Yum! I love street food! It’s one of my favorite ways to learn more and immerse myself into a new and exciting culture! Now I’m hungry haha! Thank you Joe for your message! You are so right, we learned a lot about Peruvian culture through its street vendors and its markets. It is quite amazing. What is your best street food? Wow! The Anticuchos and butifarra looks delicious. I’d like to try them. Such an interesting post. I love how you not only talk about each food, but the story behind it. I think that the Arroz con Leche would be my favorite to try! Thank you so much Joules for your feedback. Glad that you enjoy the “story” behind the food as well:) We think it makes the experience more enjoyable to know the back story. The arroz con leche is quite delicious..you would love it 🙂 Cheers! Oh my goodness I see a lot of meat and dairy! I’m vegan and my boyfriend is from Peru. I don’t know what the healthy options are if I was to go. I’ve never had Peruvian food. Looks tasty. Hi, If you have a Peruvian restaurant close to you, give it a try. You will absolutely love the local dishes. Give it a try close to you and then plan a trip to Peru in the future 🙂 Cheers! So glad you appreciate the tips at the end of the article. Which ones did you resonate with the most? The tamales were delicious, hope you get to try them soon. Thanks Fatima for your comments.